Who invented the patio bar? Germans. Long before ripped jeans and hipster beards superseded lederhosen, hanging out al fresco with a giant stein was very much on trend. Artworks depicting beer gardens in 19th-century Munich look suspiciously similar to the late-afternoon scenes at Heights Bier Garten and King’s BierHaus, which opened within weeks and a five-minute drive from each other earlier this year. 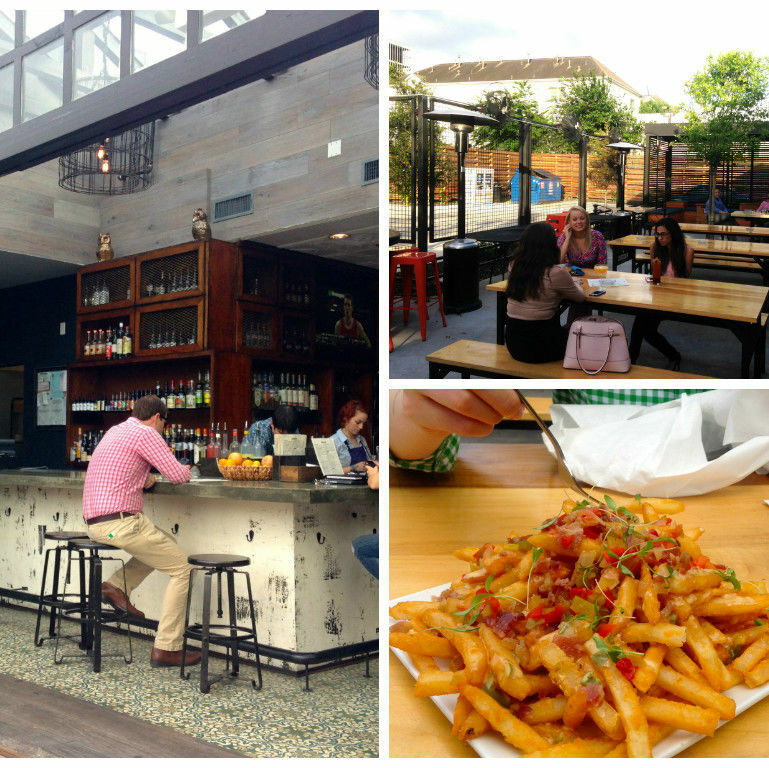 The concept for Heights Bier Garten on North Shepherd Drive, open since April, is deceptively complicated. 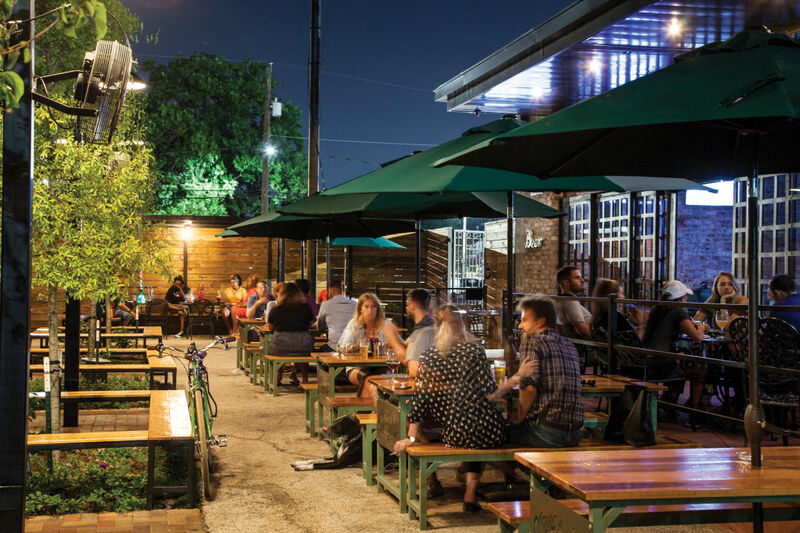 On an acre of land with the titular beer garden at its center, there are two buildings, both operated by the Kirby Group. 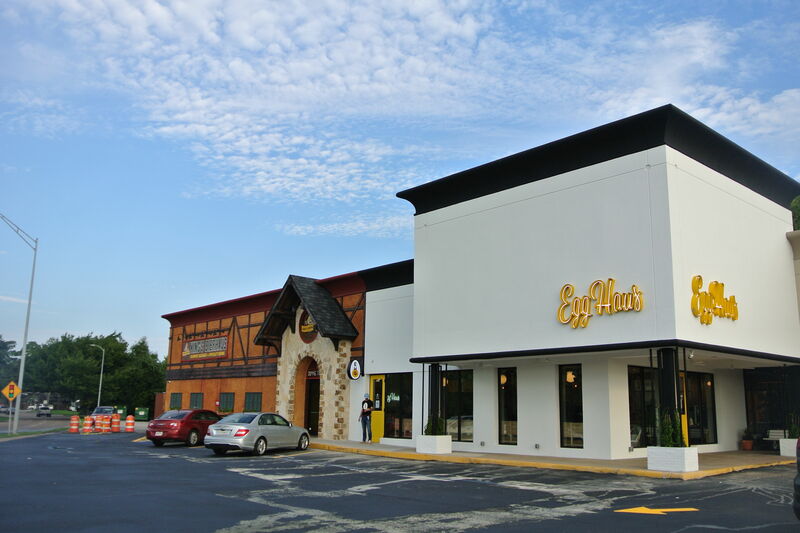 Only one of them is Heights Bier Garten, which serves 60 beers, 30 wines and four ciders on tap. The other is cocktail bar Wooster’s Annex, a sequel to the group’s Midtown destination, Wooster’s Garden. But as one manager told me, the full menu, including both food and drinks, is available on both sides, which perhaps explains why they’re not labeled as distinct restaurants. I never would have known of the separation if the manager hadn’t taken the time to explain it to me. What I observed on my own was a comfortable space that’s stylish inside and out. Eclectic chairs and couches fill the warehouse-like interiors. Outside, wooden tables take up most of the real estate, cooled in the dog days by fans that produce a steady mist. 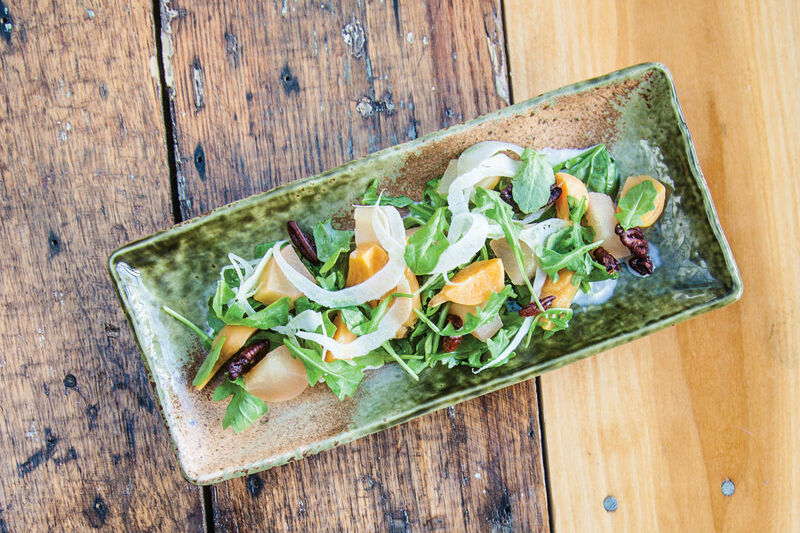 Brandon Silva, also chef at Wooster’s Garden, plays with the beer-garden theme on his menu, but doesn’t worry about sticking to German food. There are pretzels and bratwurst, but also shishitos and fermented Thai-style sausage. Still, many of the best dishes do have a grounding in the fatherland. The schnitzel sandwich centers on a toothsome steak of pounded-thin grass-fed pork that’s breaded and fried crisp, which is topped with pickled onions and a fried egg. A most inspired dish, it’s finished with something called A1 gravy, which splits the difference between the two sauces in the name and is at once tangy, savory and thick. The accompanying fries are lightly battered in egg white, which only amplifies the effect of the comparatively upscale meal Burger King’s R&D team has probably long fantasized about making. There are no fast food references on the pork shank platter. The shank (or shanks, if you get the full-sized $55 meal) is braised and roasted, leaving it with a well-caramelized exterior beneath its wash of dripping-enhanced gravy. But that’s only one of three presentations of pork on the plate. 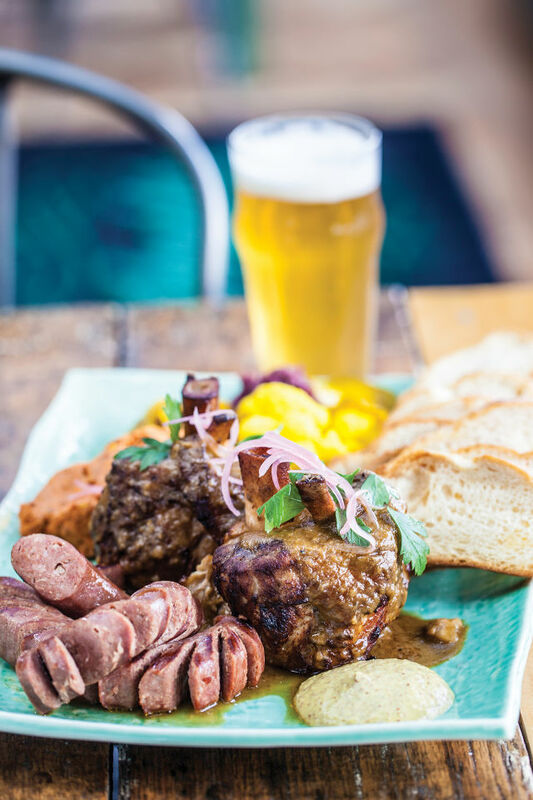 The andouille sausage is the best of the links that I tried (the menu boasts seven), full-bodied and richly pork-flavored without being overwhelmed by seasoning as andouille often is. Completing the triptych is a big, egg-shaped scoop of nduja—spreadable Italian salumi—which, combined with buttery crostini, is a rare pleasure. To break up the tsunami of pork fat, the plate comes with braised red cabbage, a collection of turmeric-yellow seasonal pickles, and grainy mustard. The meaty dishes are best complemented by a beer or cider. But Silva also has a fine hand with subtle salads that pair brilliantly with the cocktails. My favorite combination was the baby beet salad with the Fino Fresca, whose bitter, sour and sweet notes of sherry, watermelon, absinthe, lemon, and the aroma of a cucumber garnish made for a perfect match with the petite golden beets, sharp arugula, juicy compressed pears, pecans and fennel made creamy with blobs of citrus crème fraîche. It would be nice if the menus here suggested such pairings, especially because when I visited early on weekday evenings, bartenders were already overwhelmed and often difficult to pin down. But if service suffers slightly from a concept that’s proven too popular, I can’t complain too much: I agree with the crowd. 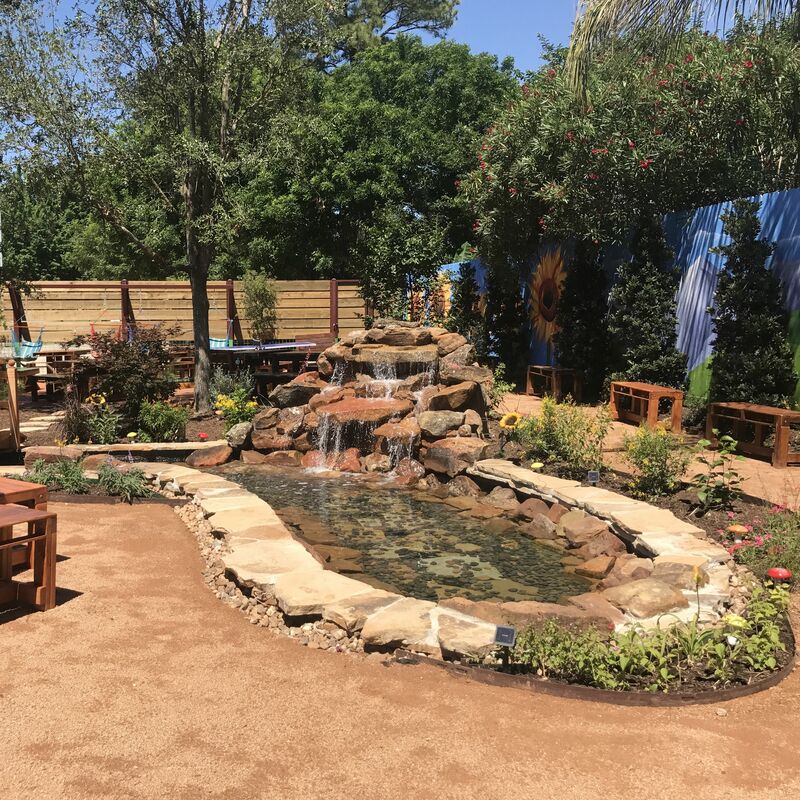 King’s BierHaus doesn’t have a Quasimodo statue or faux moat like its predecessor, Pearland’s beloved King’s Biergarten, but it retains the spirit of fun. 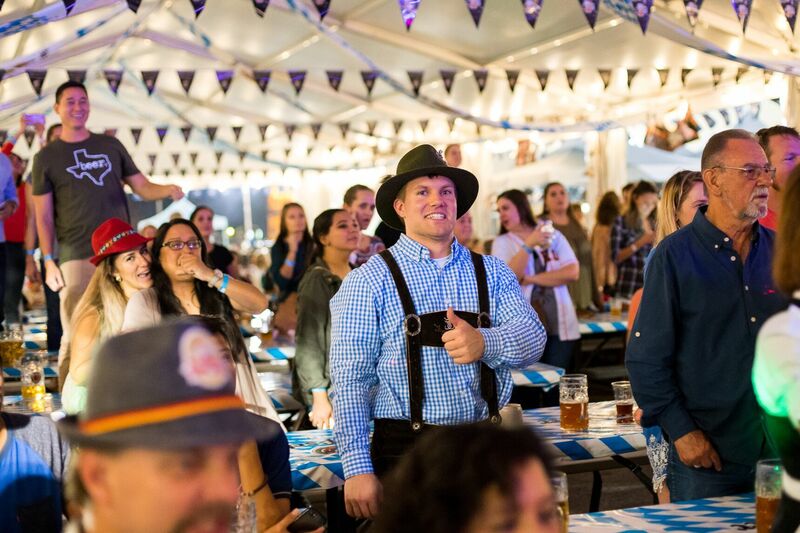 Staffers still dress in faux dirndls and lederhosen, and if you finish the 2.5 liter Das Boot, prepare for a raucous celebration. It happens more often than you might expect. Despite King’s myriad theme-restaurant trappings, it is a very serious beer bar. Philipp Sitter, who owns the restaurant with his father Johann, has charmed his way into a tap list that includes a number of German monastery brews rarely seen outside of Europe, let alone in Texas. They include both the dopplebock and dunkel lager from the world’s oldest monastery brewery in Weltenburg. But my top sip was the Weihenstephan Vitus, made at the world’s oldest operating brewery, period, which has continuously turned out drinks since 1040. Not in the mood for bier? Cocktails are also plentiful and playful, particularly the pickle-flavored Dill Gimlet and the 99 Luftballoons, garnished with a buoyant balloon. Diners make their initial order at a giant beer barrel, before receiving a number and being directed to either an inside table or one outside in the beer garden, which is populated by hammock chairs, a stage for live music, and even an artificial pond complete with small waterfall and footbridge. 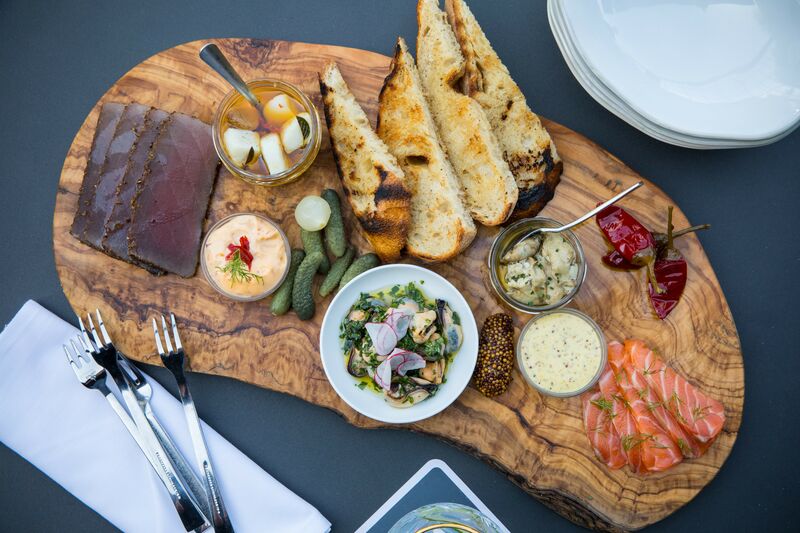 Forgetting niceties like service and food, this patio has the raw materials necessary to make it among the best in Houston. But those other things? They can at times be very good. One server told my party that she’d been studying German for 12 years and prided herself on being able to match guests to beers perfect for them. She succeeded with my dining companion and his Hofbräu Oktoberfestbier. The food menu is so large, it’s bound to be a bit of a mixed bag. Sausages are perfectly good, but not made in-house. Enjoy them, but to sample the skills of the kitchen, salads are among the best bets, particularly, the kale-jalapeño variety. There’s nothing German about it, but the jalapeño-cilantro-lime vinaigrette is a Gobstopper of heat, herbs and acid. 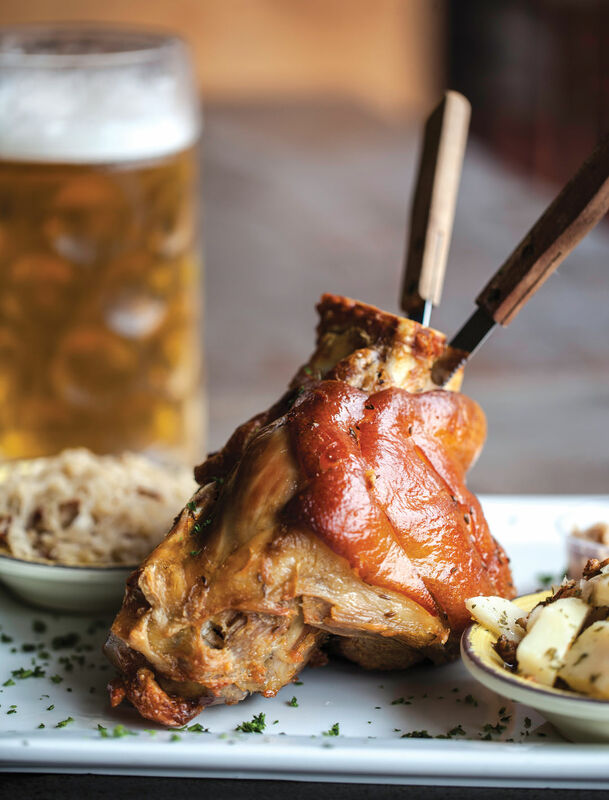 The best thing I ate at King’s is the accurately advertised “ultimate biergarten meal,” the crispy pork shank. For a $33 investment, the schwein fed four with leftovers. The shank itself is two-and-a-half pounds of bone and flesh held in place by fat-lined crispy skin. Unsurprisingly for a beast of its size, the meat falls apart in tender ribbons in some places, but requires a serrated blade in others. It comes with apple horseradish for dipping, which I found unsatisfying; a gravy or beer sauce would be better. Sides included an unobtrusive sauerkraut and cool, vinegared potato salad that served as a surprisingly apt counterpoint to the hot fat of the shank. Sadly, the shank is only served on Fridays and Saturdays. 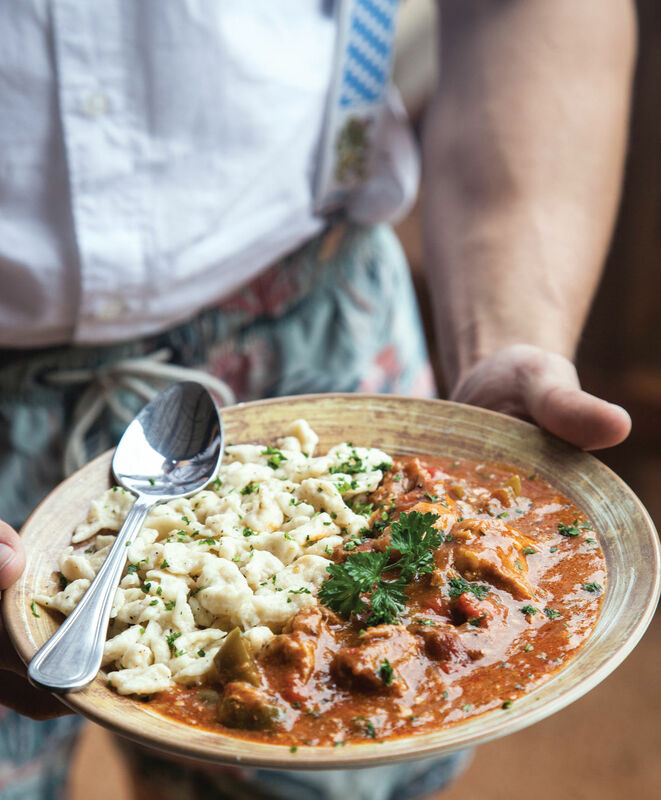 Until demand requires that it become an everyday luxury, I’ll be ordering the Hungarian Gypsy Stew the rest of the week. There aren’t enough dishes in Houston served over spaetzle. This a paprikás in all but name, a stew of pillowy cubes of pork, roasted pepper and onions in mildly spicy paprika sauce that coats the tiny dumplings. If the cheese and apple strudels, with their flabby crusts, are both a bit disappointing, chances are it’s just a sign from the universe that it’s time for more bier instead, hopefully imbibed by the waterfall.